Motorcyclists who own a bike that isn’t automatically qualified to avoid the new London Ultra Low Emissions Zone (ULEZ) may still be able to avoid paying the new £12.50 daily charge. However, owners may still have a chance of applying for their vehicle to be excluded from charges in a number of different ways. What do you need to do to check your motorcycle or scooter? There is a chance someone has already done the work and you can simply profit from this in the easiest possible way. All you have to do is input your numberplate and the website will check for you. 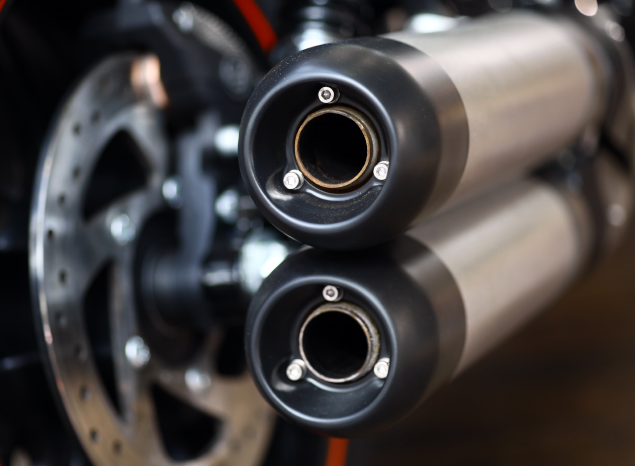 The first method of getting your bike out of the charges is to check the Nitrogen Oxides (NOx) emissions logged on the V5c registration form for your bike which might have the manufacturer test figures officially logged. On your V5c there is a section that lays out the Exhaust Emissions according to the homologated data recorded officially. The NOx emissions value must be ‘equal to, or less than, 0.15grams per kilometre’. If you can prove this is applicable to your bike then you can send in a copy of the data and your bike will then be excluded from the charge. “In order to investigate compliance status of your vehicle we advise you to provide us with vehicle registration document (V5c) that contains the Nitrogen Oxides (NOx) value and Particulate Matter (PM) value (if diesel), we can confirm the compliance status of your vehicle. Please check that the NOx and if applicable the PM value is recorded on the V5c, usually these are detailed in sections V.3 and V.5 respectively. “If these values are not recorded on the V5c you will need to provide a copy of the vehicle’s Conformity Certificate which you can obtain from the vehicle manufacturer. What if there’s nothing on my V5c about exhaust emissions? Don’t give up hope, there might still be a way out of this even if your V5c doesn’t state the NOx value. The next step is to contact the bike manufacturer and request a Vehicle Conformity Certificate or provide this information over the phone or email. What if the NOx figure is higher than 0.15g/km? This is bad news. Your bike or scooter is higher than the permitted NOx value and will not be allowed an exemption. It might be time to buy a newer motorcycle or scooter to keep paying nothing to enter the ULEZ. Anything over 40 years old is exempt but your vehicle does need to be registered with the DVLA as historically exempt. Transport for London (TfL) have at least now understood that some motorcycles and scooters, even if they aren’t registered as being Euro3 compliant, actually produce way less than the mandated 0.15g/km of NOx. TfL have now appointed Riverbank Motorcycles in London as an official testing station and they can test your motorcycle or scooter for exemption. The test isn’t cheap at £175 but compared to £12.50 per day to enter the ULEZ, it doesn’t look too bad value. 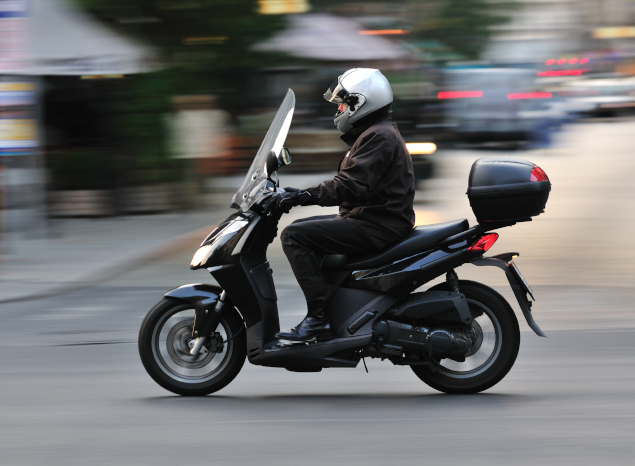 Bikes are run on a rolling road and the exhaust emissions are tested over three separate runs with an immediate pass or fail being issues in the same way an MOT is. Some servicing and checks over the bike in the event of fail can work to pass the next time. If the bike passes then the details are uploaded straight onto the TfL database and the exemption is then valid.